What's the best way to start into summer? Solving crimes the bookish way, of course. 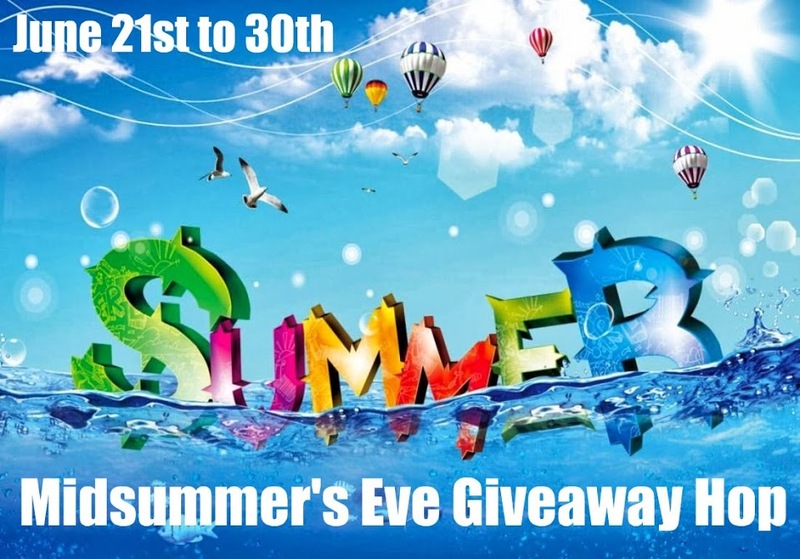 Cozy mysteries being one of my favorite genres, I've decided to give away one of the following books to a lucky winner. Great give avay. I would love to solve one of this crimes in my reading hook in the garden. Great giveaway! I'm more of a safe person ;). I prefer solving a mystery via books! When I was younger, I would have said "I would love to run around solving mysteries." (Would never want to come across a dead body.) Now I prefer the coziness of me relaxing with my Nook solving the mystery. Guessing whodunit is part of the fun. This is one a the best genres out there (in my opinion). It's always so much fun trying to see if I can figure out whodunnit before it's revealed in the book. Thanks for doing this giveaway. Thanks for the giveaway. All the books look good. 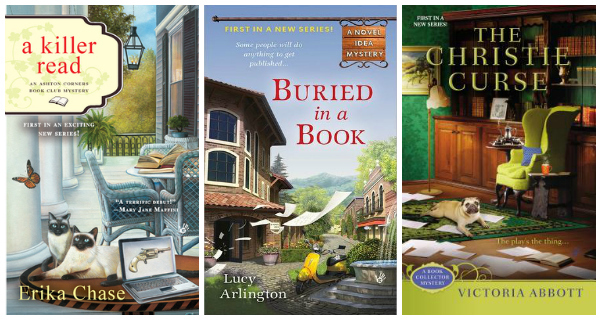 There is absolutely NO WAY I would want to live in a cozy mystery. Well, I guess I could, if I wasn't the one finding all the dead bodies and having someone consistently coming after me because of it. I definitely prefer to do my sleuthing from the comfort of my my sofa, with book or ereader in hand. I think a cozy mystery would be fun to live in as there is always a happy ending, and the adventure is usually fun. I think it would be interesting to be in a real life mystery... I think that would be the most interesting adventure! I'd love to live in a mystery. Life would never be boring. Give me dead bodies and lots of them. I definitely prefer to read about mysteries than living one! I prefer mysteries such a Murder She Wrote; Columbo; Matlock; etc. I am more than happy to do without the blood, guts & gore. Oh, without a doubt I would love to live a mystery! Thanks for the giveaway! I love to read about them. I'd be a nervous wreck to live them. It's much more easier to read about them! I'm a reader, not a detective—I'd leave sleuthing to braver souls than I! I prefer to read them in the safety of my house hehe :) Thank you for the giveaway. I'll stick to reading, I'm a chicken when it comes to finding dead bodies. I prefer to read about mysteries rather then being in one. I'm not interested in this much exitement. I rather be reading about it but when it becomes too much I can put the book down. Thanks for the great giveaway! stumbling over dead bodies all the time and sleuthing around to solve the crime i love to solve crimes i want to be a crime scene investigator. I'm interested in spending my time in a reading nook! I am content reading about it. Prefer to immerse myself in a good mystery. I definitely prefer it in books instead of real life. While it sounds interesting to be actively finding bodies and sleuthing , I think I'll stick to reading about them. I definitely prefer reading about mysteries only. I think I'm a wimp. Although I love to read the mysteries, living in one would scare me! I would much rather enjoy a good mystery in the company of my own home. Thank you for the giveaway! I prefer reading cozy mysteries. Living in one would make me too nervous! I would like to think I could live through it myself but I don't know... I may completely freak out when faced with a dead body! I think I would prefer to solve mysteries through books but if I could do it just once it might be fun and exciting to actually solve a mystery. I'd love the sleuthing WITHOUT the dead bodies.....maybe a cold-case cozy mystery!! I would stay with cozy, it is more safe that way. I'd much rather read about them than live them. Fantastic question!!! No dead bodies for me!! I enjoy reading about all the exciting things that other people come up with. In this case I prefer the safety of my reading nook!! Definitely sitting around reading about it.